Christmas is around the corner, Christmas sales are everywhere. The malls are packed, the shopping items are out of stock, the sizes are limited. I do not like shopping like this but the Christmas sales are too attractive. I came up with my solution, that is online shopping, it is definitely the best option. You don't have to be at crowded places, you get to think wisely before purchasing. Anyway, pretty sure you all heard of Rakuten. It is ranked the no.1 online shopping platform in Japan. I actually learnt about Rakuten because Jane recommended to me. health and beauty, toys and the list goes on. that creates a fun shopping spree. Shopping is an exercise, shopping is entertainment, lol. SuperSale event is Rakuten's biggest event, biggest sales. It features discount up to 87% off. It will span across 7days from 9th to 15th December 2014.
smartphones, fashion, health beauty and home living products. 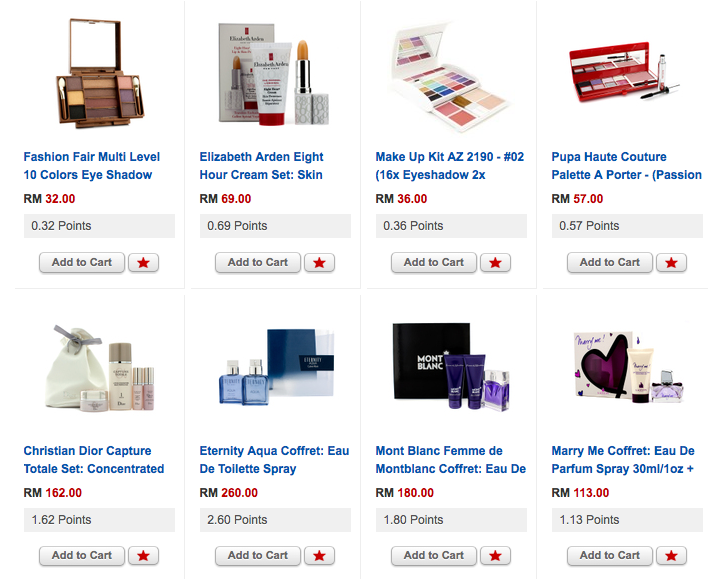 Rakuten is also offering attractive products to fuel your Christmas gift ideas. What's even better, Rakuten gave me my own shopping coupon for their SuperSale event. USE IT when you check out, you get RM20 OFF with extra Rakuten Super Points rebate. You ready to see my Christmas buy on Rakuten? I have really dry skin and I have to start using lotion! Friends recommended this brand or lotion - Cath Kidston. Oh my, beautiful packaging and they all smell so good. Original price is RM53 but I got them for only RM32 on Rakuten. This is the link to Christmas Special category. Packaging is too pretty and I really love rose! I travel a lot and I really like travel kits. It's hard to find or hard to buy at market. They normally only give you travel kits after you spend big money, gah. This is my favourite buy, I'm bringing them to Singapore this weekend! My best buy will be this Babyliss Pro Chrome Dial-A-Heat Tong. Market price is RM175 and above. It's selling at RM130+ on Rakuten and I used my own code to get RM20 off. I only spent RM110 for this new Babyliss Tong. Some of my advices here. It comes in 4 different sizes, if you want waves like mine, go for 38mm. I got the 38mm one and have always been using a 32mm or a 38mm curler. I'll also recommend you to get the Chrome ones. My friends have the white one, I don't know if it's the paint. I like volumic wavy hair, not the curly type. So, I only curl the ends of my hair and I only do it in one direction. Just look at the Christmas Specials! So many choices at discounted price. I'm getting all my Christmas gift for my family members on Rakuten. Have fun shopping for Christmas! Don't forget to use the code RAKUCHARICE20 to get RM20 off!